There is a built-in gutter running the perimeter. It was framed in place, then lined with roofing-coated sheet metal. 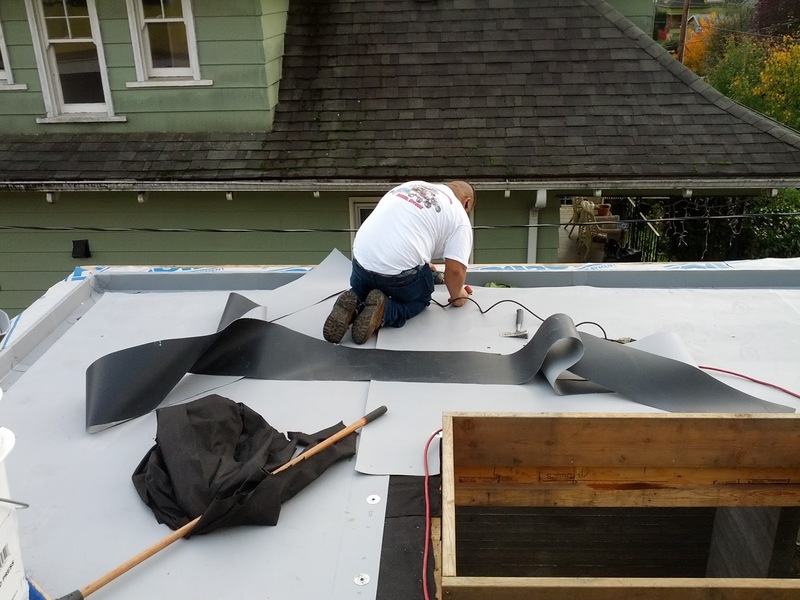 The roofing is TPO. We ordered it in a gray color since we may have to look at it for a year or more before we install the plants. Next the roof deck, which gets this same roofing, and then the garage, and then the main metal roofs late in the week. Finally we will be truly weather tight! Adhering the roofing flashing to the main roof. Those of you with sharp eyes will notice that this roofing turns up the wall on top of the weather barrier. This is very intentional. 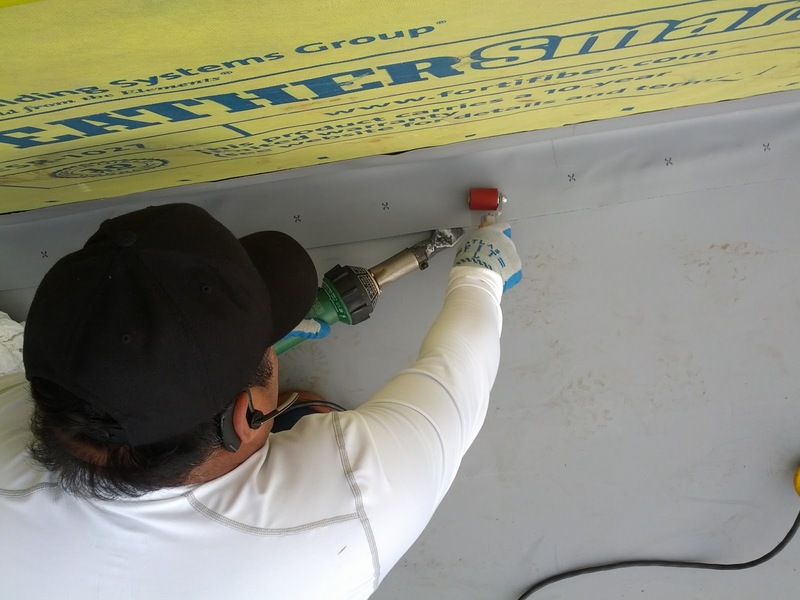 Since the weather barrier is also acting as an air barrier, we are running it continuous from the upper wall to the lower wall for an uninterrupted air seal. 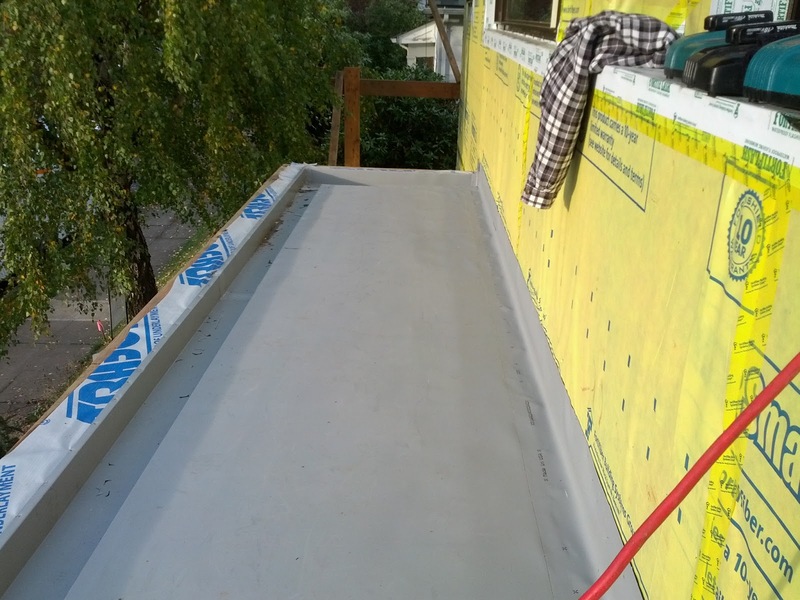 This roofing upturn will be sealed across the top with adhesive flashing, and also a sealed metal flashing leg that will keep water from getting behind the roofing. Even if it did despite all of that, it is kept out of the building with the continuous weather barrier. Installation underway - here you can see the mechanical (screw) fastening along the edges, that is overlapped and sealed over. Completed entry canopy gutter & membrane. 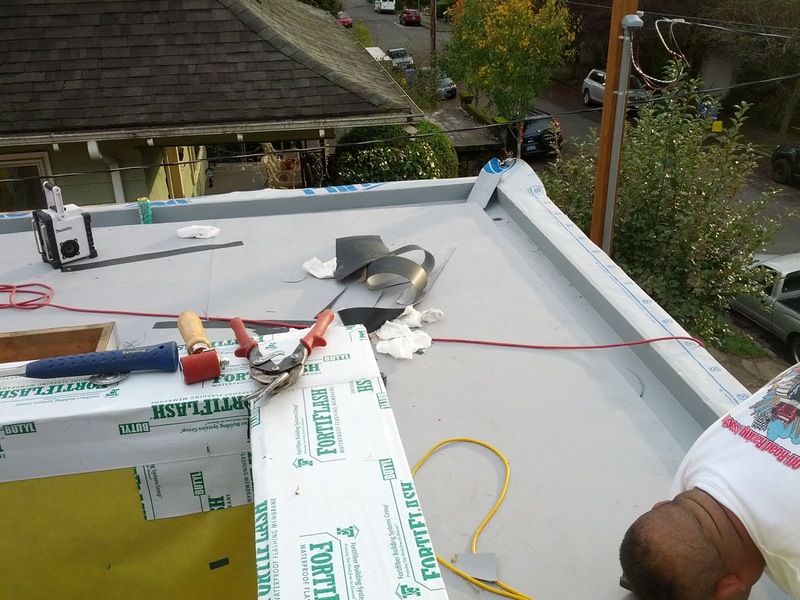 A metal flashing cap will finish off the outer edge.